It's fall, which means all the pumpkin things! A few months ago I made some chocolate avocado bread and it was so good that I knew I had to make something similar with pumpkin and avocado...and chocolate, obviously. The avocado gives these muffins an amazing fudgey texture without being too dense or heavy. And they taste like fall! I used my Vitamix to blend the wet ingredients, and it make the muffins come together super fast and without making too many dirty dishes, which is always a plus in my house! I tend to make a big mess in the kitchen any time I cook something, but this time I only used about four things which make clean up super fast. Preheat the oven to 350°F. Grease a muffin tin or use paper liners. Add the avocado, pumpkin, coconut milk, and eggs to a food processor or blender and blend until combined. Add coconut oil, vanilla, and maple syrup and mix until smooth. Combine the dry ingredients in a bowl. Using a spatula, mix the wet ingredients into the dry ingredients. Once combined, gently fold in the chocolate chips. Spoon mixture evenly into muffin tins, filling about 3/4 of the way. Bake until no longer wet in the middle, about 20 minutes. Remove from oven and allow to cool on a wire rack. To preserve freshness, store inside and airtight container in the refrigerator. These muffins can also be frozen. Defrost in the refrigerator before serving. I have been enjoying these muffins with my morning coffee...as breakfast. 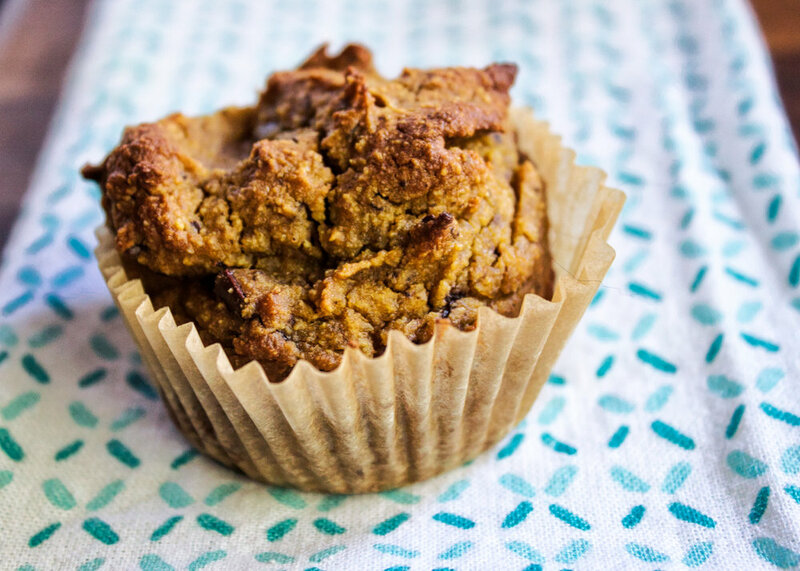 There's something that seems so sneaky about eating chocolate for breakfast, but since there are tons of other nutrients packed into these muffins, I figure I'm pretty much doing my body a favor by eating chocolate for breakfast! Pumpkin has vitamin C, potassium, magnesium, and some B vitamins. Avocados are packed with healthy fats, fiber, potassium (more than a banana! ), and some more B vitamins. All of these things are critical to the optimal function of your cells!